My name is Victoria Palmer, and I’m thrilled to be working as an Ambassador to Government Canyon! I’m currently a student at Texas State University, pursuing a degree in wildlife biology. I’m set to graduate in the fall of 2019 or the spring of 2020, after which I plan on attending grad school to further my education. I am also an active member of our school chapter of the Wildlife Society. Nature, wildlife, and the outdoors is one of my biggest passions and being able to preserve it, and educate others in the process means the world to me. One of my favorite things is removing the fear and stigma that often surrounds reptiles and insects, which are some of my favorite organisms! Stewardship and caring for our public lands has become an integral part of my life, and I look forward to seeing the positive changes I will hopefully be able to set in motion in my time with Government Canyon! 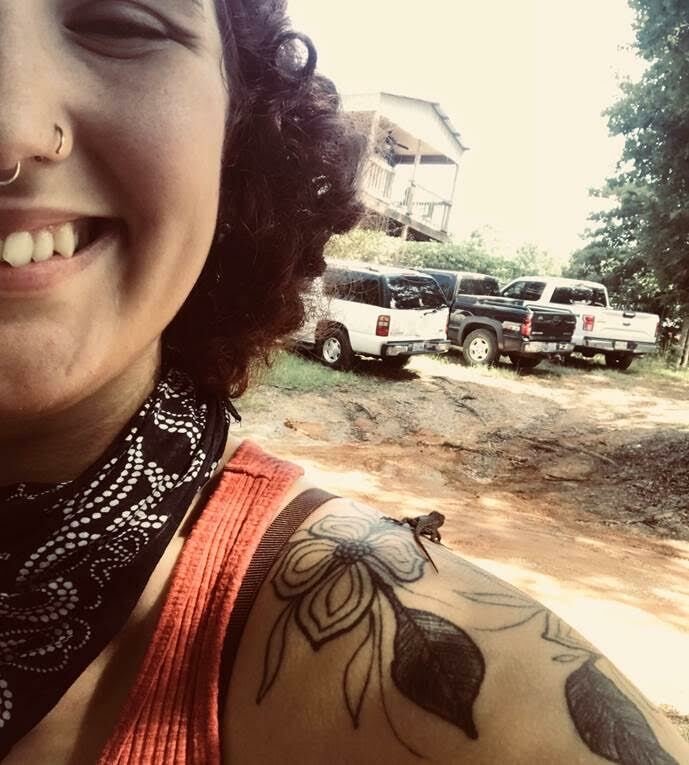 Here’s a picture of me with an eastern fence lizard I caught!